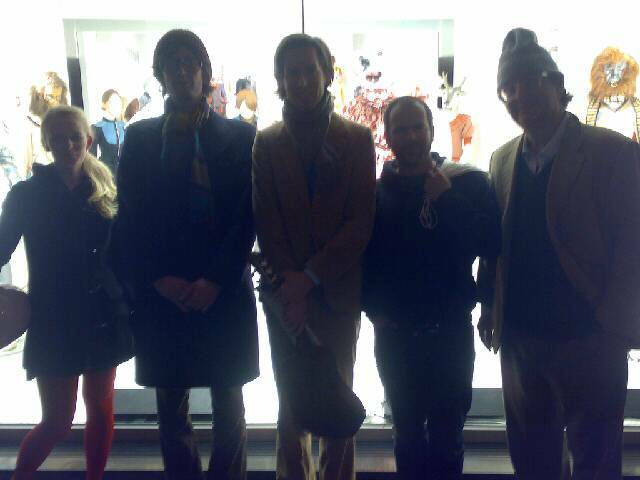 Whilst taking Alexis to see the window on the last night of fashion week Wes Anderson strolled by with a banjo over his arm walking with what looked like a band that consisted of two members I didn’t recognise and Jarvis Cocker. Alexis knees buckled fumbling at her crash helmet, it was a pleasant suprise as when we started we had dinner with Jean and met Wes and discussed it. He stated lets stay 2m and take it in, very sweet, honked the horn and off we road.